Web Hosting News – Clifton, NJ – Managed dedicated server provider, DedicatedNOW announced on Monday that it has named Brandon Hale as the Company’s new Director of Sales. In his new role, Brandon will be responsible for leading the company’s Sales efforts and continuing the Company’s growth. Born in Texas, Mr. Hale brings eight years experience to DedicatedNOW. With leadership roles at some of top players in the industry, he brings extensive experience to the DedicatedNOW Sales Department. “We’re confident in Brandon’s ability to drive our sales growth and firmly believe that his experience will help to lead our organization to new heights,” says CEO Jason Silverglate. Brandon will be leading the sales efforts of the new DedicatedNOW Cloud division, launching Q1 2011. 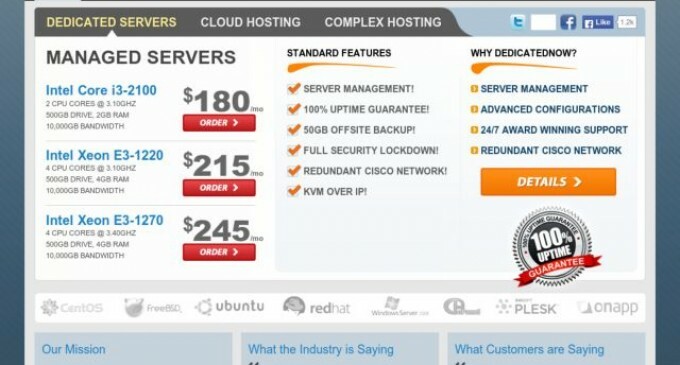 DedicatedNOW, founded in 1997, provides managed dedicated servers to customers in nearly 100 countries. Customers rely on DedicatedNOW for reliable, secure and value-rich services such as dedicated servers, managed hosting, complex hosting, CDN, reseller and colocation. DedicatedNOW’s servers are located in a state-of-the-art data center in Clifton, New Jersey. The Clifton, NJ facility houses nearly 5,000 servers in a secured environment, right next door to the Company’s corporate headquarters and network operations center. For more information about DedicatedNOW, visit Dedicatednow.com.